Mubadala Petroleum is a single global organization, comprising business units responsible for executing activities and operations across the 10 countries in which we are active, supported by central New Business Development, technical and commercial teams. The assets we manage include exploration, appraisal, development and production projects, with a primary geographic focus on the Middle East, Africa and Southeast Asia. In recent years, we have established a strong track record as an operator with capabilities to deliver projects effectively and produce safely and efficiently. 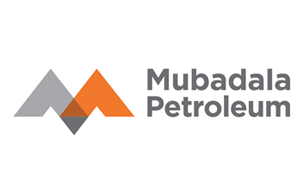 Mubadala Petroleum is the operator of the Ruby gas field, Sebuku Block. Our commitment is to support Indonesia economic growth and to operate to the highest safety and environmental standards. As a part of this exciting journey, we are seeking for the following position. Plan, develop, and provide day to day process engineering surveillance of Ruby and Ruby Tie In facilities to assure process stability to deliver gas and condensate to onshore facilities as per nomination. Plan, schedule, and monitor general operations activities by close communication with the offshore team, onshore support team, MPI personnel from relevant departments and external stake holders (partners; SKKMigas, vendors etc) to ensure all activities are managed and executed in a safe, professional and timely manner. Responsible to provide process and facility surveillances for day to day operation of Ruby facility and Ruby Onshore receiving facility, including process troubleshooting, root cause analysis, plant performance optimization, and process calculation. Proactively seeking plant improvement by performing plant performance analysis, develop operation KPI, plant optimization, and feasibility study on plant modification. Development/review of standard operating/maintenance procedures and work instructions. Responsible to update the production forecast coordination with relevant MPI departments, as well as to communicate the integrated plan to all related stakeholders. As the single point of contact for Ruby Onshore Receiving Facility, manage and monitor the performance the ORF to ensure safe and reliable. Activities coordination with other gas producer in east Kalimantan, government and partner to ensure smooth production operations and achieve production goals. Bachelor degree (S1) in Engineering, preferably from Chemical or Mechanical Engineering. Minimum ten (10) year experience as Process Engineer in Oil & Gas Industry or Petrochemical Industry, preferably experience as Process Engineer or Facility Engineer in Operations Department. Preferably understanding of offshore operations, mechanical rotating equipment and associated support requirements. Good analytical thinking, planning and scheduling. Good and effective communications skills, oral and written in both English and Bahasa Indonesia. If you're interested in the above vacancy, please apply via link below. Position is for Indonesian National only. Applications will be closed on 21 February 2018. FRAUD WARNING!! Mubadala Petroleum will never ask applicant to pay a processing fee, ask for money or appoint any travel agent for the recruitment process. 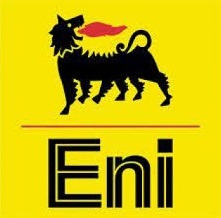 Eni is a major integrated international oil and gas company based in Italy, with interests in 85 different countries, and employs approximately 82,300 people worldwide. Eni has Exploration & Production activities in Italy and other areas worldwide such as West & North Africa, US, South America, North Sea, Kazakhstan and Asia. In Indonesia, Eni currently holds working interests in 14 PSCs of which 9 are as operator, mostly in Deepwater areas with an active exploration and development program. To support its progressive growth and build the organizational capability, Eni is inviting candidates who possess relevant education background, experience and competencies to join our Company. Purpose: Corporate Financial Reporting and Budgetary Analysis. Reviewing and recording internal costs allocated from other PSCs and direct costs charged through local intercompany. Excellent knowledge of MS Excel. Result oriented and problem solving. Purpose: Support the investment authorization process and the related monitoring activity. Run economic analyses on the basis of data collected from technical functions and utilizing scenarios and methodologies provided by Eni HQ. Support the Senior Finance Analyst in providing analysis dedicated to investment decision making. Liaise with Eni HQ on the review of economic evaluations by PIAC Milan and assist in resolving queries/issue. Education: Degree in Economics or relevant/equivalent discipline. Excellent knowledge of economic models. Able to manage economical evaluation model will be a plus. Please mention the position title on the email subject: Apply for (name/position code). Please note that applications may not be reviewed if received after 31 March 2018 . We regret that only shortlisted candidates will be notified. FRAUD WARNING!! Please be aware that eni will never ask the applicant to pay any fee or appoint any travel agent for the selection process. All communications that ask the applicant to pay any fee or use specific travel agent are fraudulent & scam. The application can only be send through the above email.